Seriously, we shouldn’t have to do this anymore. 1. Everything is online now. From paying bills to getting dates, all you need is a bit of screen time with your mobile phone, tablet, or computer to get things done. With a secure connection and website, and you can access anything, anywhere, 24/7. It's better than physically being in line, waiting and not being able to do anything other than wait, that's for sure. And if you can't do it online, then you can probably get things done over the phone. The look you get when the CSR actually solves your problem. 2. You can set appointments for everything. Ever gone to the doctor’s and you find yourself at the end of the line, with 30 people in front of you? Made you feel sicker, right? Don’t do that to yourself. Getting an appointment for anything is what civilized society does now. (If your doctor’s secretary won’t budge, a little chocolate might make her change her mind.) By setting an appointment, you'll know when exactly you have to be there and not have to wait too. Just remember to be on time! Does being in line look at all like this? If the answer is no, then it’s not worth the wait. 3. You can be doing more productive things. Like spending quality time with your family, or making sure that your business is running smoothly. You lose enough time already as it is every day, especially with the traffic woes, so falling in line for stuff should be something you can do without. Time is money in our super fast paced and connected world, and each second spent doing something mundane is like throwing money away. I’m never getting in line again! 4. Modern services are aplenty. 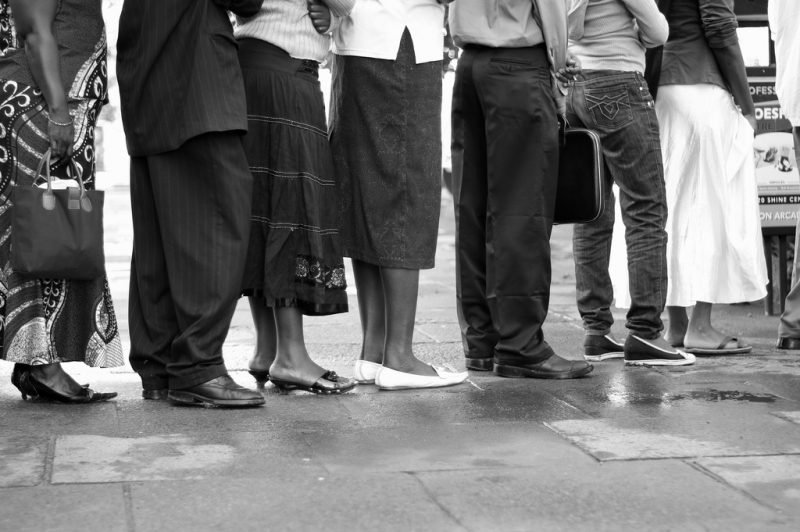 Pay lounges, express pay centers, and vitual transactions make waiting in line obsolete. Don’t add more stress into your life. Make sure that you stay away from lines for good! Yes, a million times, yes! Tired of lines and want to do something that really counts? Security Bank’s Human Switch Kit (HSK) is a service makes lines a thing of the past. Think of it as your personal concierge, ready to do whatever you need to open a bank account (or any Security Bank product!). Taking another step towards #BetterBanking, the HSK takes out the hassle of having to visit the bank when you want to know about or avail of current or new product offerings. After simply filling out an online request, expect to receive a call from a sales associate, almost immediately, to set an appointment at your most convenient time and place. From there, you can discuss about your financial need and how you can make banking a better experience. Let HSK revolutionize the way you bank—at no extra cost.